When Gremlins take Wall Street the results are about the same as when brokers are there. If you watched "Gremlins 2" (the one without Matthew Broderick but with Phoebe Cates) in 1990 and thought to yourself, "Why this is parable of corporate greed and Wall Street corruption for our times," you win. They even go as far as advising "Invest in canned foods and shotguns." The Consumerist unearthed the below gem of a scene from the classic that will look familiar to anyone who has watched the news in the past several months. It's now obvious that this is exactly what happened on Wall Street in September. Somebody got Gizmo wet. 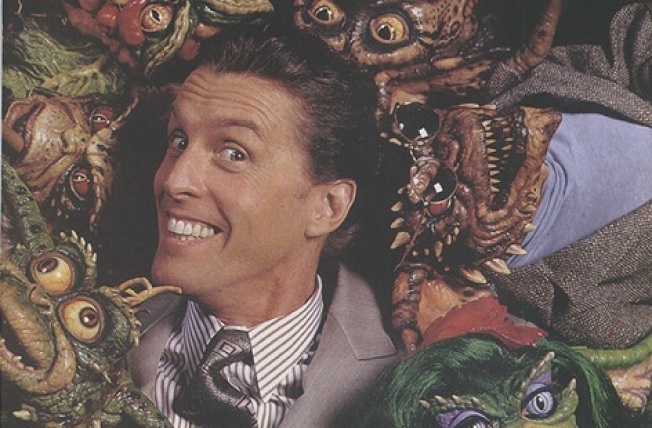 The movie also has the added bonus of Tony-winning actor John Glover as an evil media mogul hamming it up with the puppets. Broadway audiences can see Glover in and entirely different setting in April when he plays Lucky in Beckett's "Waiting for Godot." Not to be a spoiler, but things don't turn out much better there.